We sat down to get to know 16 year old, Riley Collum, of Perkins, Oklahoma this week. This is Riley’s fourth year showing at the Tulsa State Fair. Riley grew up on about a 1,000 head cow/calf operation with her family, called C-4 Land & Cattle. Check out her interview below! What breed or breeds do you show? 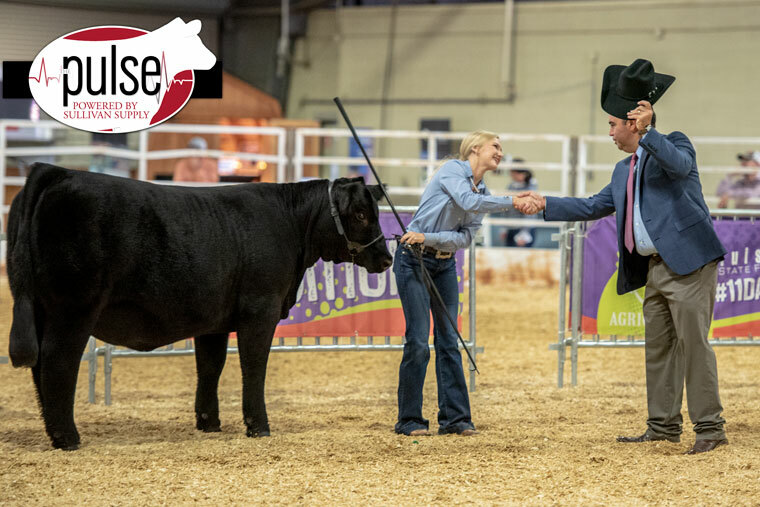 I show Angus and Simmental Heifers, and Angus is my favorite to show. What is your favorite part about the Tulsa State Fair? I really like the food here, actually. What is your favorite memory showing? My favorite memory showing actually happened at the Tulsa State Fair. I had a big bred heifer that was due to calve soon, and she just laid down in the ring during the show. It was the funniest thing that’s ever happened to me. What is your favorite job when working with your cattle? I like washing them the most. I really look up to my dad, because he shows me how to work hard and what it’s like to be successful. 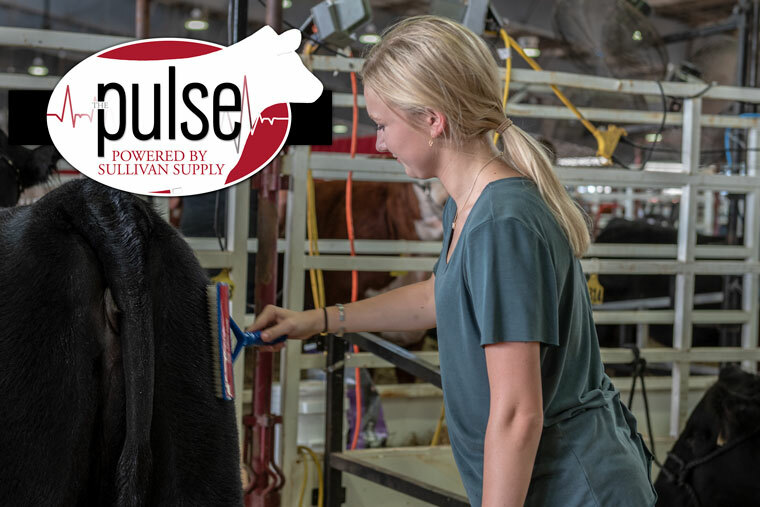 What is your favorite Sullivan Supply product? Probably Sullivan’s Shock, because it helps make my heifer look her best.